On May 20, The Suit Magazine is set to host the “2015 Investment Outlook Roundtable” in New York City. Dean Baker, co-director of Washington’s Center for Economic and Policy Research, will moderate a panel discussion of financial advisors focusing on today’s economic, investment and political landscapes affecting the financial industry. 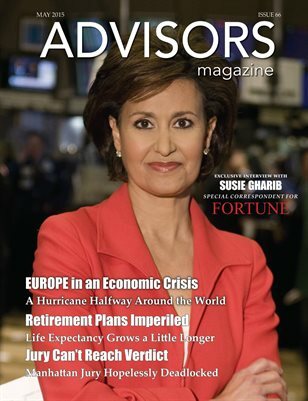 Susie Gharib, a senior special correspondent with Fortune, and also a contributor to Nightly Business Report and CNBC, is the evening’s keynote speaker.